Want it by Thursday 25th April? Order within 3 days, 16 hours, 38 minutes and choose Special Delivery 24 Hour Delivery (Signature Required) at checkout. Hello Holly! 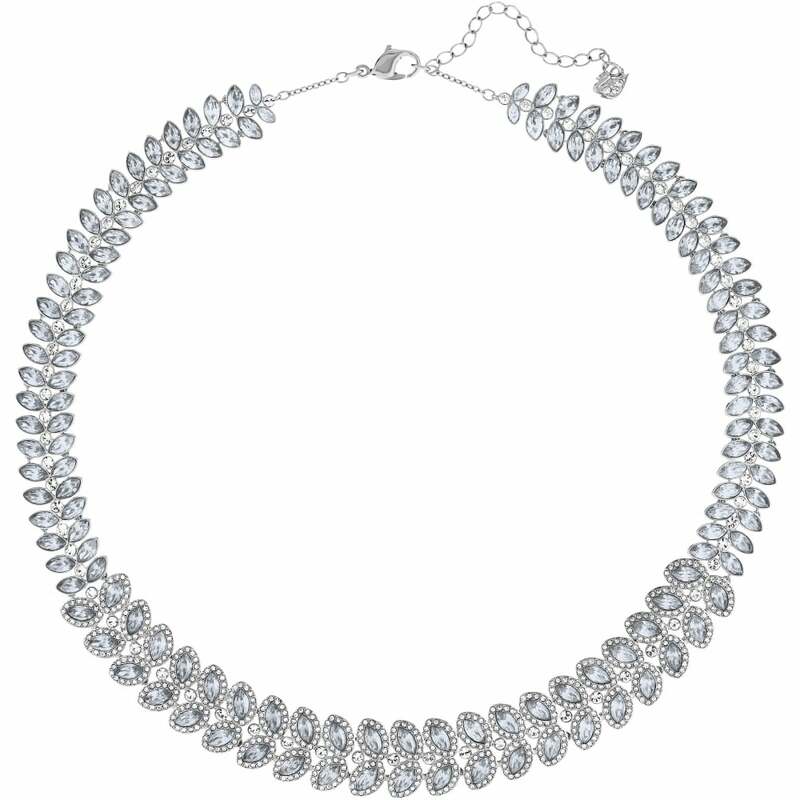 This necklace is the definition of old school glamour, and would not look out of place on the decollatage of Holly Golightly. We love the oval blue crystals that are set with clear crystals. The arrangement looks like a leaf, creating a feeling of nature within the piece. Wear alone for a little sparkle in the day, and when night comes, add more pieces from the collection for opulent glamour.